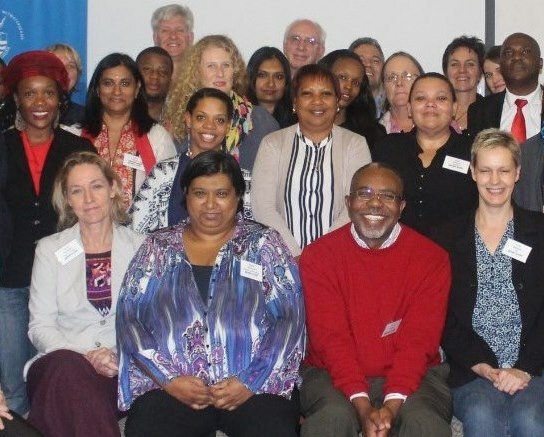 On 21 April 2016 the GreenSkills coordinators reported back to its partners in SETAs, government departments and environmental organisations at a full-day meeting in Johannesburg. 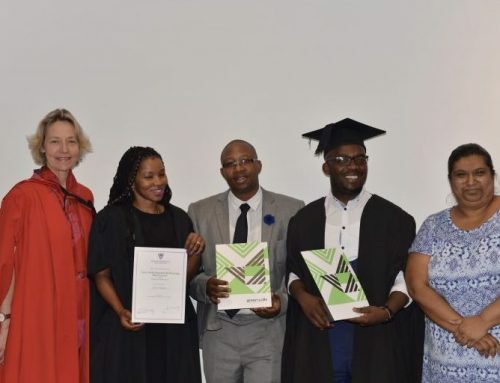 In a jam-packed morning session researchers from Wits, Rhodes, UCT gave updates on current and recently completed projects, and Ansa Liebenberg from MERSETA shared the news of a brand new qualification for wind turbine operators, a first for South Africa. Visit our website Green Skills to view the presentations. The second half of the programme consisted of two round table discussions. 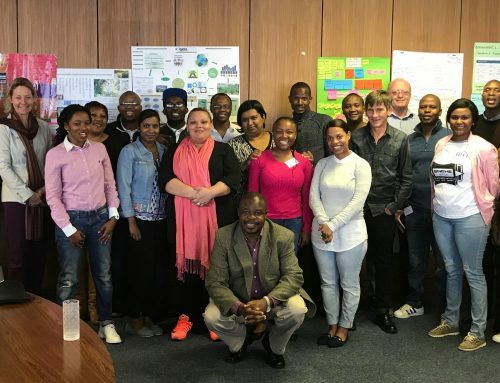 Dr Eureta Rosenberg and Prof Heila Lotz-Sisitka facilitated the course in green skills methodology to be developed and offered as part of the GreenSkills programme with Green Fund funding. Discussions focused on what would distinguish such a course from general skills research training; the likely course participants (e.g. skills planners and researchers in SETAs, government, universities and private practice) and what modes of delivery they would prefer (a mix of online and face to face interactions). The second round table discussion facilitated by Presha Ramsarup and Mike Ward focused on the green skills planning tools being developed in the programme, and their utilization by SETAs and employers. These process resources include contextual green driver analysis; industry value chain analysis; a ‘hot spot’ prioritization tool; and a template for comparing green skills with occupational descriptions in the Organizing Framework for Occupations (OFO). This workshop also produced a diagrammatic representation of scenarios in the shift towards a future, sustainable economy, and the roles that reactive, proactive and strategic green skills planning would respectively play in such scenarios. Mike Ward shares the diagram here with some interpretation. 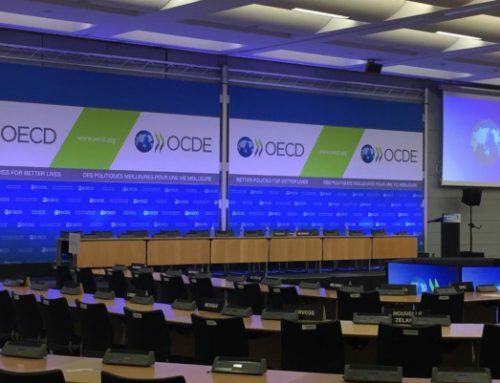 The report-back and round tables were followed on 22 April by the first programme steering committee meeting. Committee members noted the urgency of green economy skills development, and the role of research in this process. Would time, effort and resources not be better spent in developing skills, than in researching what skills are needed? 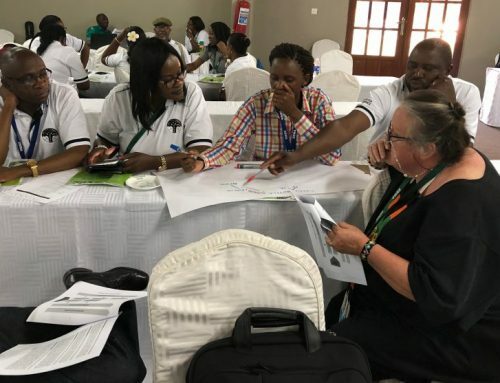 The GreenSkills coordinators explained the strategy of using evidence based support to strengthen the national system of skills planning and development, so that there would be many more parties coherently, strategically and proactively involved in developing green skills. 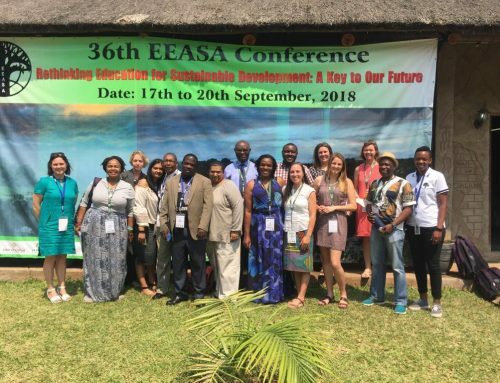 That is, it is an investment in building a system so that green skills development could take place on the scale and in the strategic manner that is required, rather than in the ad hoc manner described in the Environmental Sector Skills Plan. It is an approach akin to addressing a root cause of the problem rather than trying to deal with the symptoms of the problem. Nevertheless, the coordinators conceded that much more needed to be done, and called for support to strengthen the community and their efforts.